As I mentioned in my comparison post, I actually bought Rouge Bunny Rouge Sea of Showers for my mother who was looking for a golden-toned liquid highlighter. 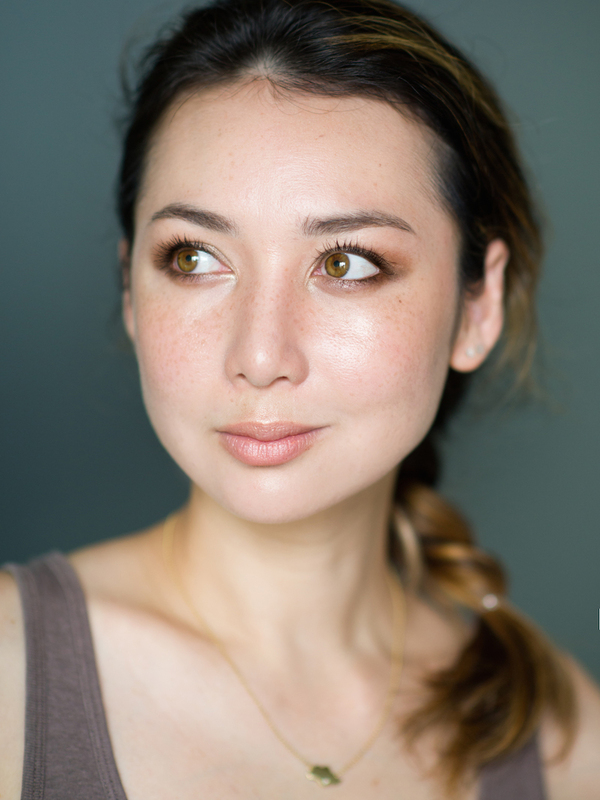 She’s about a NC25 to my NC15, and this works really well for her skin tone. 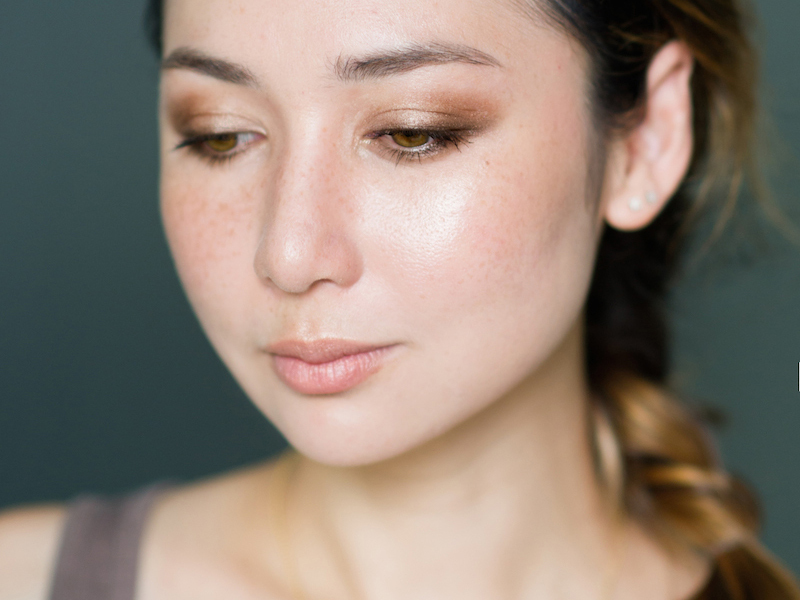 On me, it’s more shimmery bronzer than a traditional highlighter so I wear it where the sun would naturally hit my face: along the tops of my cheeks, plus a little on my nose and cupid’s bow. For the record, I’m not wearing any blush in these photos so you can see it really does add a visibly bronzed hue to my skin. 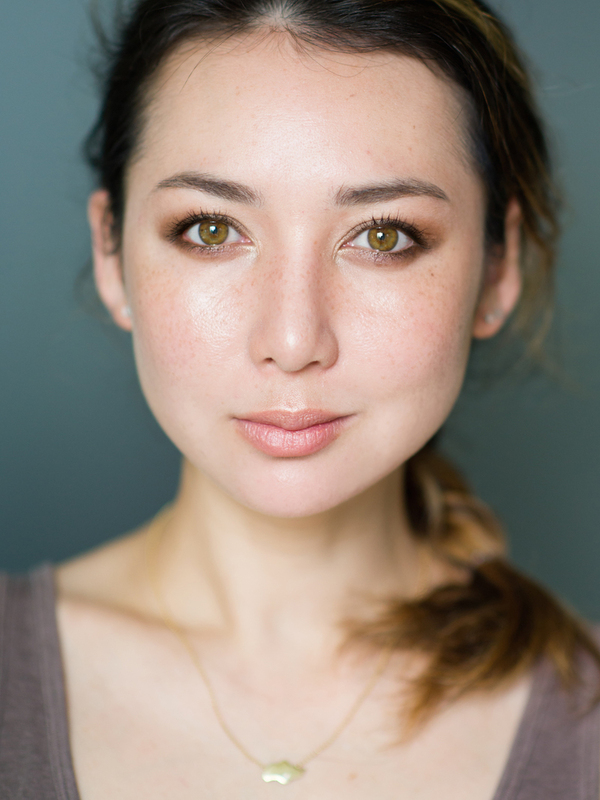 My mother – who has dry, mature skin – simply mixes this into her foundation (NARS Sheer Glow in Fiji) and wears it all over her face for a warm, healthy glow. That’s the great thing about liquid highlighters: they’re so versatile and can really be used by all skin types if you know how to apply them! Hi Emily! 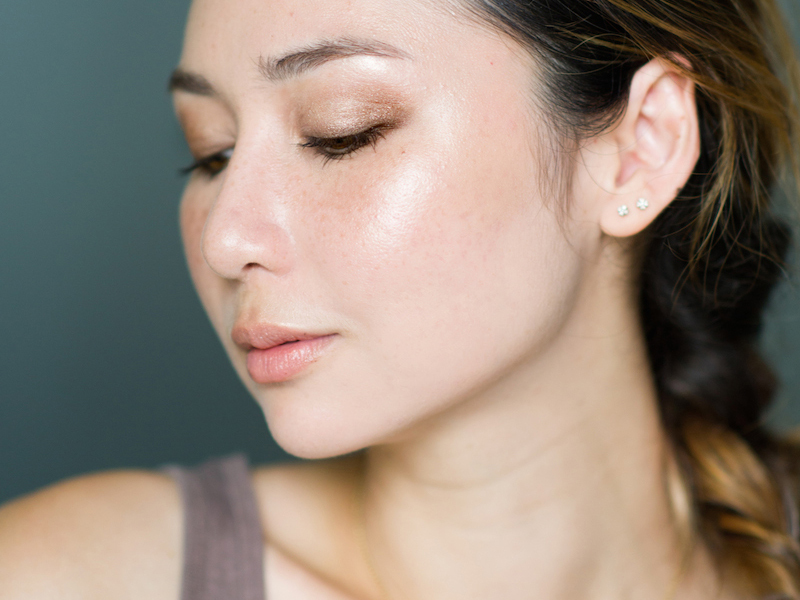 I stumbled on your highlighter chronicles and I’m loving it! You have a lovely glow – tricky thing is you manage to get everything so pretty it’s harder to differentiate amazing from passable. Rouge bunny rouge is tempting me with their powder and liquid highlights and I’m wondering if it’s worth the splurge to get both. 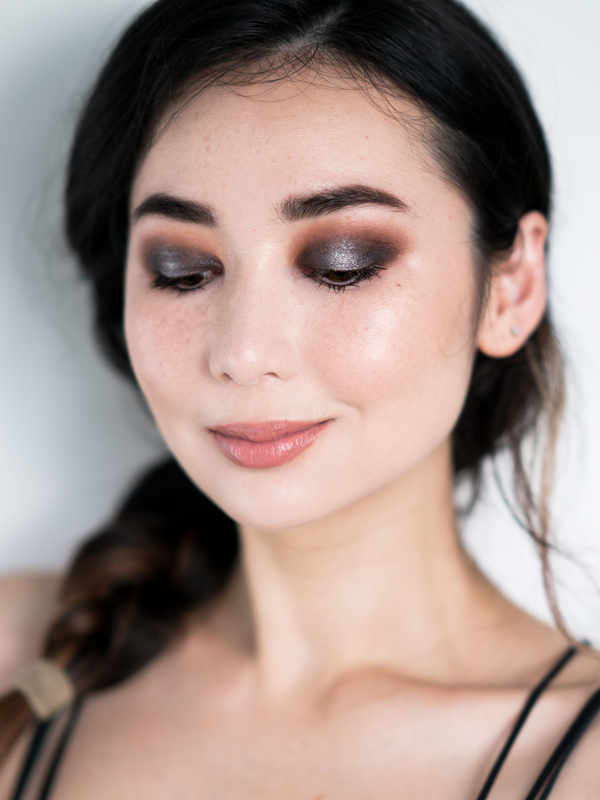 I’ve found most products are usable with some work (extra blending, waiting for it to dry a little, layering or mixing with other products), but I want your opinion on the highlight you would reach for if you have 5 minutes for your full face in the morning and haven’t had your caffeine yet, and want the easiest to work with textures that take the least amount of effort. As for which highlighters I reach for in a hurry, it depends on the condition of my skin which changes depending on weather/where I am in the world. More often than not however, my skin is oily so it’s powder highlighters I reach for. If you’re looking for a foolproof powder that’s hard to mess up in a rush, check out Kevyn Aucoin Candlelight. That being said, my mother has normal-dry skin is the type who never spends more than 5 minutes on her face…and she swears by Rouge Bunny Rouge liquid highlighters. She just mixes it straight in with her foundation and it looks absolutely radiant with minimal effort.